Maggie Tanner is a twelve year old girl born to an impoverished family in the slums of London. As a child she witnesses her grandmother’s death, her mother giving birth to stillborn twins, and her father’s constant insobriety and lack of employment. But on acquiring a position as a domestic servant to an upper class family in the suburbs, Maggie encounters only further turmoil by falling pregnant to the family’s eldest son. She returns home only to be plunged into the social stigma of bastardy and shame. 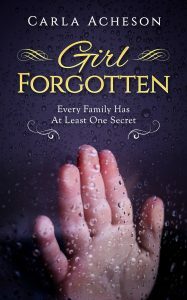 As bearing a child illegitimately was considered morally corrupt, Maggie does all she can to save her baby from a disease-ridden orphanage or home. She takes drastic decisions to save both the child and herself, but despite all her efforts, she is constantly drawn into a whirlpool of sickness, destitution and disease. With death as a constant companion the struggle for survival is relentless and Maggie’s pain and losses continue to haunt her for years to come, until one day – one last gift changes everything. 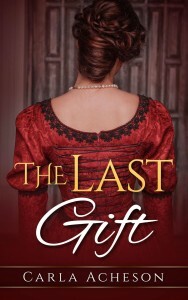 The Last Gift was featured on Harper Collins Publishing House website Authonomy, and in January 2010, reached No 5 in the Weekly Book Charts after receiving over 100 favourable reviews. “Thoroughly entertaining fictional rendition of life among Whitechapel’s prositutes at the time of the Jack the Ripper murders. Great empathy in depicting the women as real human beings with their own hopes, fears and aspirations.” – Brian Porter, (Author of A Shade in Red). Journey into Whitechapel, London, during Jack the Ripper’s brutal reign of terror. When innocent Catherine Bell stumbles into the seedy world of Madame Davenport’s brothel lodging-house, she meets lothario Edward Cross, who feels his ambitious diary of the Whitechapel area’s prostitutes will benefit favourably with her entry. Catherine soon begins to experience animosity from the other women there, as well as mounting fears over Cross’s brutal and strange sexual manner. With nowhere to turn things worsen when prostitutes in the area begin to disappear one by one, only to be found murdered by a ruthless and bloody man. Soon every woman in Whitechapel is terrified and asking, who is Jack the Ripper? When five year old Pixie suffers a paralysing accident she is taken away from her home and never mentioned again. A quarter of a century later, Annie, her twin sister, is determined to find out what happened and sets out to unravel the mystery of Pixie’s life and death inside a Victorian orphanage. Slowly, Annie begins to unveil the the circumstances surrounding her sibling’s fate… but what if someone is hiding the truth? Available at Amazon, Waterstones and Barnes & Noble.